Originally from Africa, guinea fowl (aka Guinea Hens, pintade, faraona, African pheasant) have become a popular roasting bird in France & Italy. Their slightly red meat is lean with an exciting flavor stronger than chicken, pheasant-esque, with some of the richness of duck. There’s a lot of it on each bird, with approximately a 50/50 meat to bone ratio (higher than many other poultry varieties). These guinea fowl have been air chilled, a method preferred by chefs because it better preserves the bird’s flavor, lets the meat absorb marinades better, doesn’t add water weight, and is more environmentally friendly (produces less contaminated water) than water chilling, which is used for most poultry. Each whole guinea hen will provide about two servings. 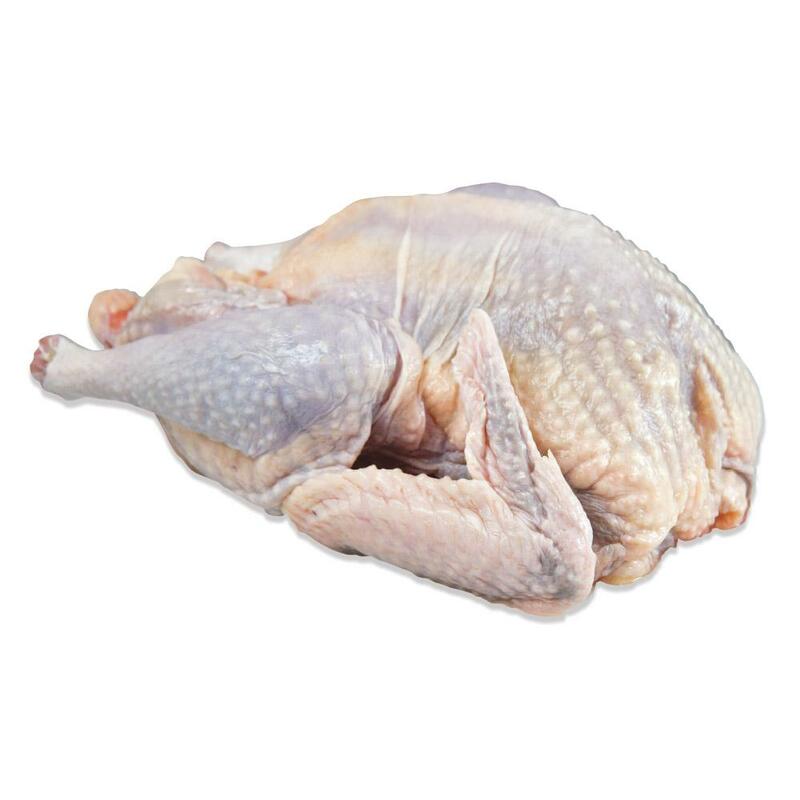 Store guinea hens in your freezer until you're ready to use them, then thaw only as many as you need. Guinea fowl can be roasted whole or cut into breasts, legs, etc. Because guinea fowl are so lean, they’re frequently barded (wrapped with bacon or pancetta) prior to roasting (how to bard poultry) or basted during the roasting process to keep them from drying out. For extra flavor and moisture, you can also brine guinea fowl prior to cooking them. 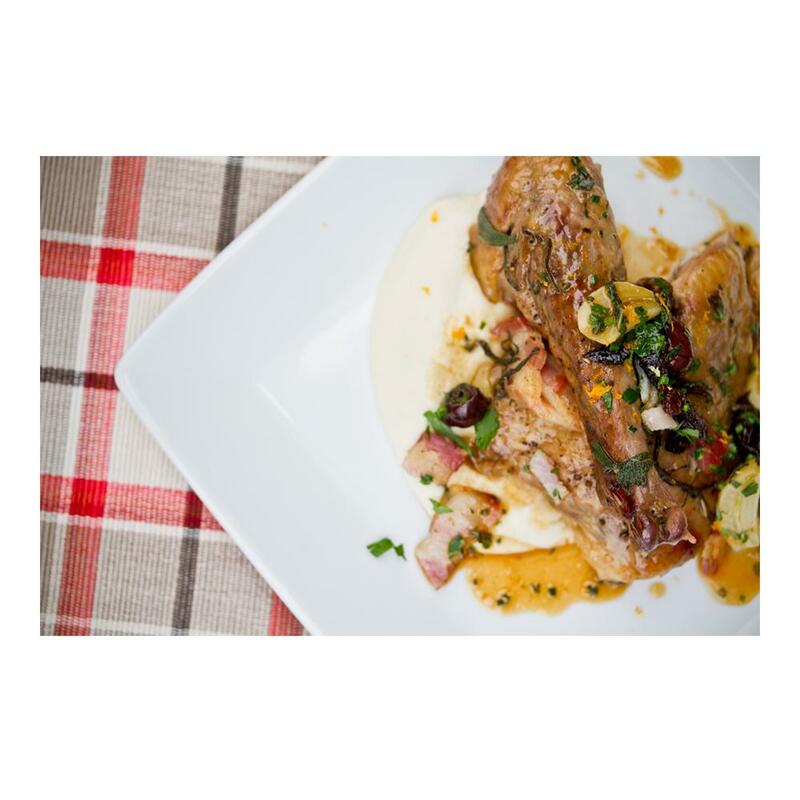 Guinea hen meat pairs well with apple brandy, garlic, fruit (lemons, grapes, plums) and herbs like tarragon, sage, and thyme. One guinea fowl will generally feed two people. Recommended Cooking Temp: According to USDA guidelines, poultry should be cooked to an internal temperature of 165 degrees.